I’m a sucker for a great Christmas cookie! Ask anyone that knows me and they will tell you, I spend all of December in the kitchen whipping up new and exciting Christmas cookie recipes. I love these peppermint meringue cookies because they are unexpected and a little different than your traditional sugar cookie. I call them cookies, but you could also call them Christmas candies, either way, you’ll be making these, year after year! 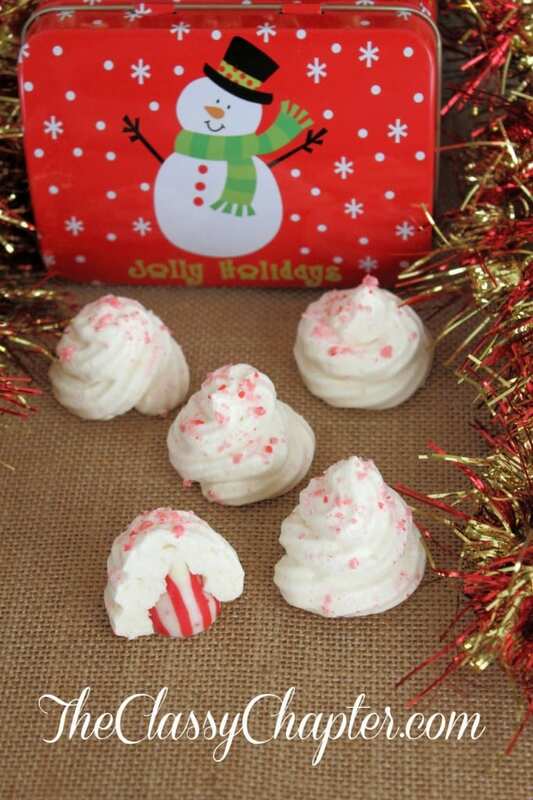 I love these peppermint meringue cookies because they are unexpected and a little different than your traditional sugar cookie. I call them cookies, but you could also call them Christmas candies, either way, you’ll be making these, year after year! 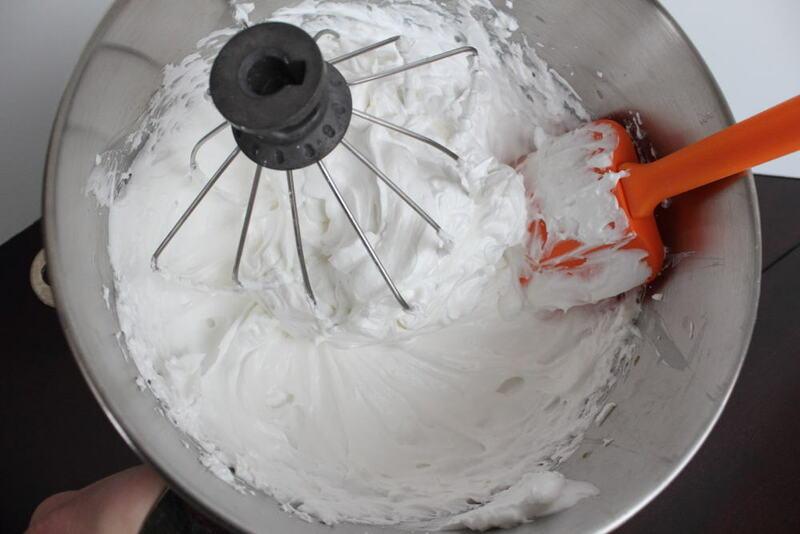 Slowly whisk in the Sugar, if using a mixer at medium-high speed should take about 1-1 ½ minutes. 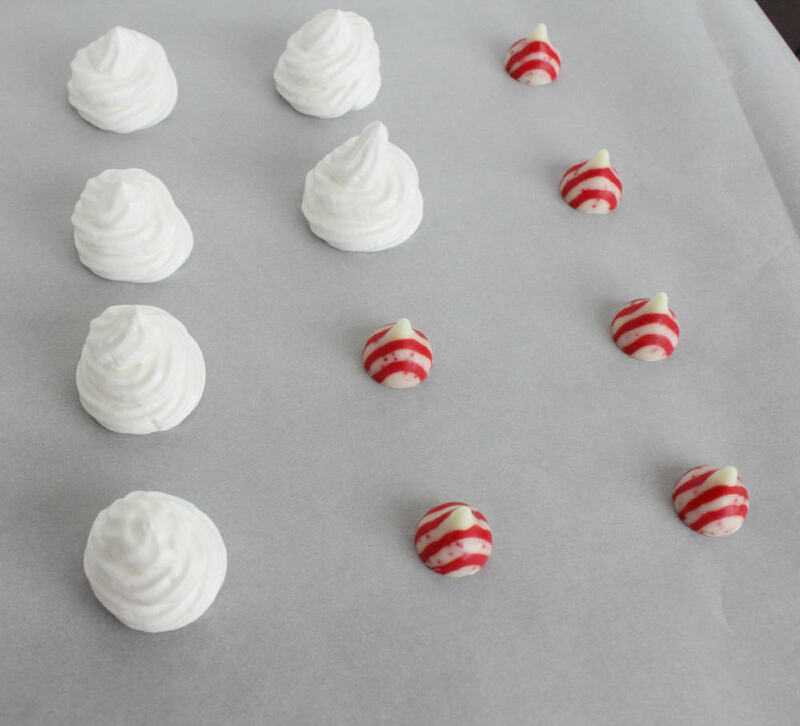 Put the meringue into a pastry bag with a star tip. Line 2 baking sheets with parchment paper. Unwrap and place Hershey’s Peppermint Kisses on the parchment about 2 inches apart. 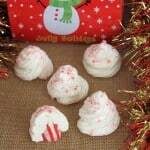 Pipe meringue around the bottom of the kisses and then swirl to the top all in one motion. 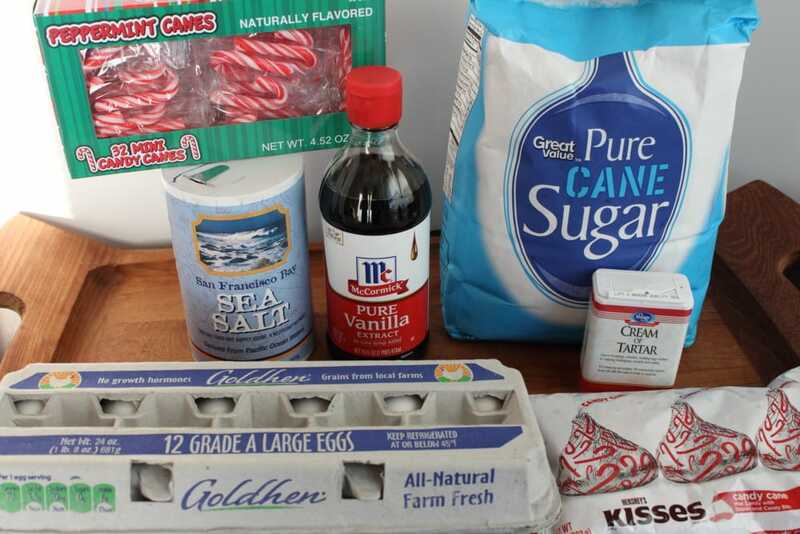 Sprinkle a small amount of crushed Candy Cane over the cookies. Place into the oven at 250˚ and immediately reduce the heat to 175˚. Bake for 3 hours then turn off the heat and let cool in the oven another 45-60 minutes. This prevents them from cracking. They will be light, crisp and airy. If you want to see more recipes like this, head on over to Pinterest and follow me. These look so good. That is cool that you hide the kiss inside the cookie. I’m stopping by from SITS & I hope your having a great day..
Leslie recently posted…Why Don’t I Own This Already!? Those are adorable! I’m always looking for easy Christmas cookie ideas. Stopping over from SITS Girls. Thank you and yes super easy to make!! Oh yum! 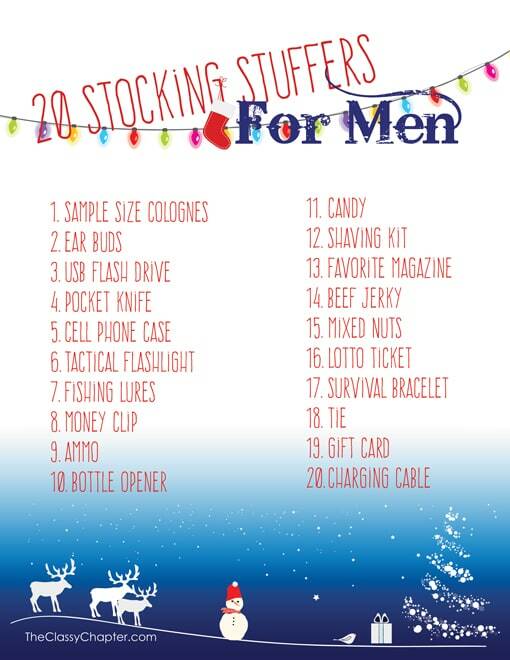 These look so fun and easy. I pinned this. Oh my GOODNESS! 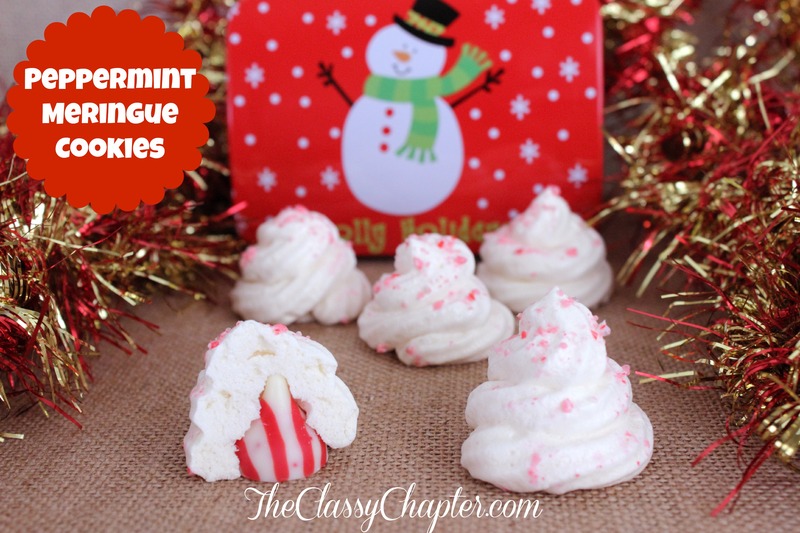 These Peppermint Meringue Cookies look absolutely DELISH! They are making me crave something sweet! Thank you so much for sharing with us all on the Oh My Heartsie Girls Wordless Wednesday. Lysa @ Welcome To My Circus recently posted…The Oh My Heartsie Girls Wordless Wednesday Link Party!!!! You are very welcome! Thank you for stopping by. I hope you have a wonderful Christmas as well. What beautiful cookies! 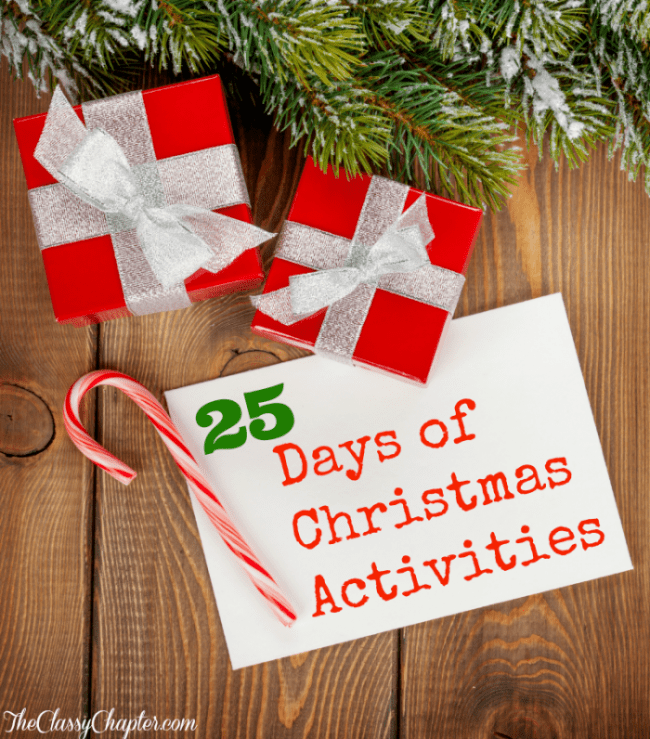 You are being featured this week, over at Simple Supper Tuesday. We hope you can join us again this week, starting Monday night at 8pm.